You guys are AMAZING! Thank you for your continued support on the Progresso Souper You™ Contest. I'm blown away by it. I was in the lead when I voted this morning. No seriously, LOL not an April Fool's Day joke. The voting period (aka my suspense) goes on till April 12. You can vote once daily, everyday till then. I'm the girl in the one pant leg. The top 3 vote-getters will win. 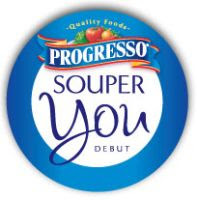 www.progressosoup.com/souperyou/. The BTV crew are really rooting for you. Big votes from us! Been voting for you every day good luck!!! I'm voting every day! Twice...once from work and once from home! You got my vote! I love your blog/recipes! Good Luck!